Available for Compatible with HP SMS Production Center 1.0 and later. Creation of JDF tickets for automated submission of jobs to the SmartStream Production Center application. 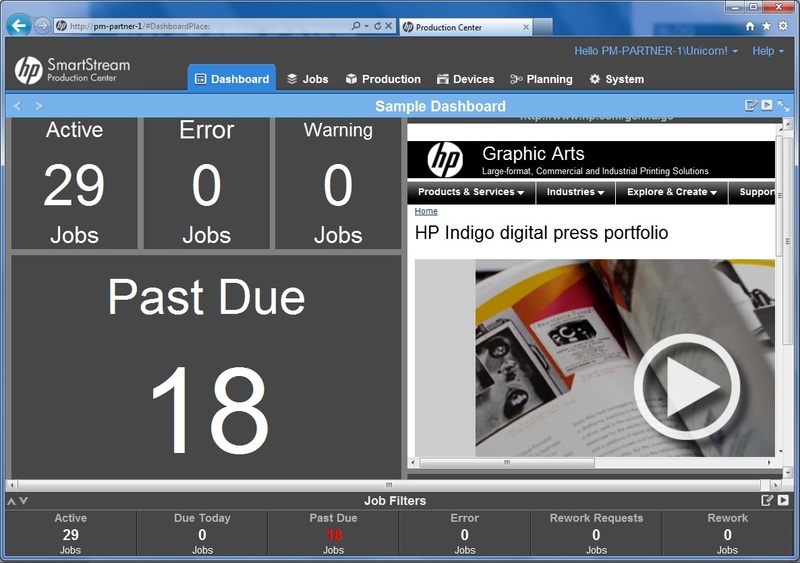 The HP JDF Configurators have the ability to output content as a MIME package. This combines a JDF ticket and asset file in one self-contained package to simplify submission to the HP SmartStream applications. This flow further simplifies this process by submitting the MIME package over HTTP to the SmartStream server. This removes any issues with file sharing/access rights between the Enfocus Switch server and HP SmartStream server. The REST API interface on HP SmartStream Production Center allows you to collect various detailed production information in either XML, JSON or CSV formats. This flow will automatically query HP SmartStream Production Center on a given time interval and collect the information for use in automation of production information in downstream flows. Note that this flow requires you to configure the Production Center Hostname value to point to your server. The REST API has very flexible filtering and querying capabilities, please reference our REST API SDK for further information on capabilities. 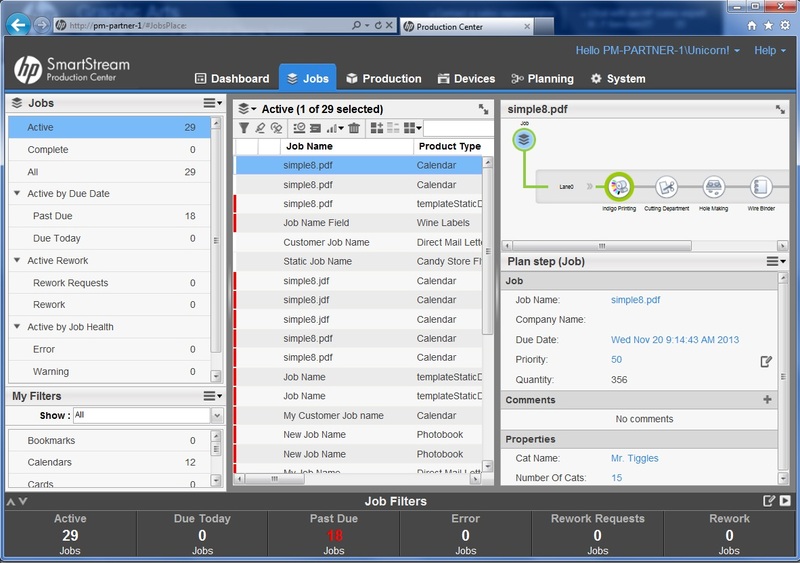 This flow will let you send various JMF queries to find out status of current jobs, attached devices or resources. The flow will capture the JMF response as an XML file that can then be picked up in a JDF/XML pickup element and used to drive automation downstream. Note that this flow requires you to configure the JMF URL to point to your SmartStream application. Please reference our JDF SDK kits for further information on JMF capabilities.